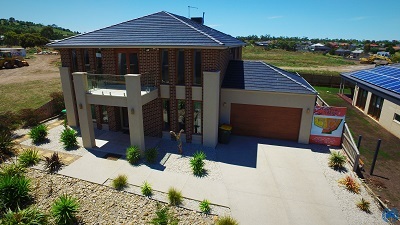 Gisborne Village Estate is elevated on a gently sloping hill overlooking the commercial centre of Gisborne. To the south-west are exclusive allotments 1500 square metres in size from where you can walk into the Town centre, yet have superlative views of the surrounding countryside. The freeway is nearby should you need to make a quick trip to the centre of Melbourne or to Melbourne International Airport. There are excellent schools in Gisborne and the University of Technology is only 15 minutes away. On Melbourne's north-west fringe, the estate is set above the town of Gisborne and its European trees that blaze with colour in spring and autumn lining the main streets. The district is proud of its heritage, having been settled within 60 years of European settlement in Australia, and is a popular commuter suburb of Melbourne. With its cafe lifestyle and interesting range of restaurants in the main street, everything is at your fingertips and the friendly nature and community atmosphere makes you feel welcome from your first day. Gisborne is located 1 km west of the freeway, 35 minutes north-west of Melbourne and 610 metres above sea-level. With a growing population of 8,000, the people of Gisborne are fortunate to enjoy a unique quality of life. They prefer large land areas and beautiful homes with all the charm of an English country lifestyle, right in Melbourne's backyard. 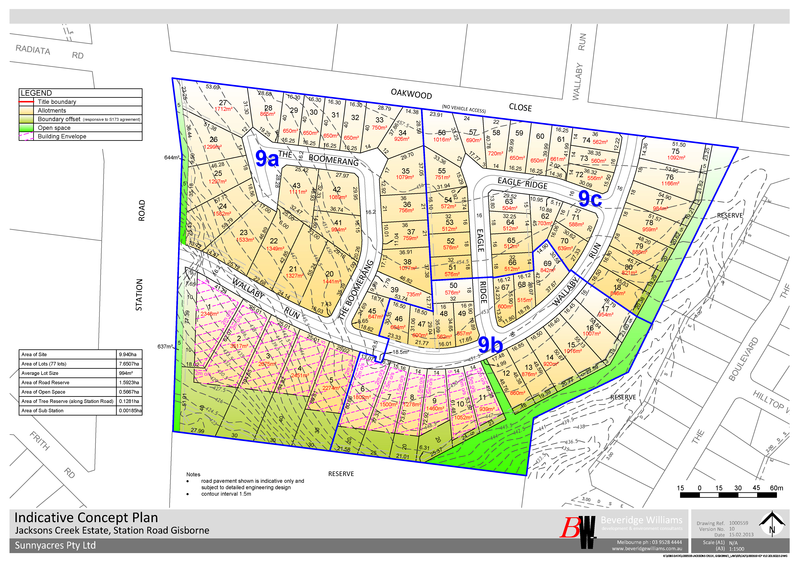 Latest Gisborne Village Land Release - Stage 9a, 9b & 9C. Gisborne Village Stage Plan - 9a 9b 9c.